Are you searching for wood burning stoves in within the Otley area? Otley lies 28 miles (45 km) south-west of York, 10 miles (16 km) north-west of Leeds and10 miles (16 km) north-east of Bradford. To the west are the villages of Burley-in-Wharfedale and Menston. To the east is Pool-in-Wharfedale. Al these areas are covered by the Leeds Stove Centre. 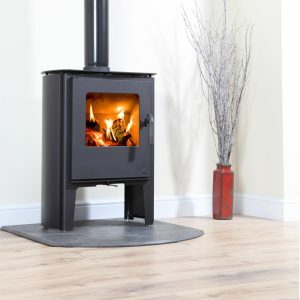 Leeds Stove Centre provides the Otley area with a large choice of wood burning stoves from amny manufacturers, including Dik Guerts, Hunter, Stovax and Parkray. We have a wide choice of designs, accessories and brands to choose from. We have a large range of traditional stoves and modern wood burning stoves available to order online. Our stoves look great in traditional cottages, modern apartments, farm houses and new builds. Using a wood burning stove can help heat your home in an eco-friendly way helping you not only save money, but also the environment. In Stanningley, Leeds, you can find our showroom with displays over four floors. Here you can see a large range of live working wood burning displays to help you decide which would be best suited for your home. It also gives you good idea of how much heat can our stoves can produce. In addition to this, we also have a highly trained retail team that can help you choose a wood burning stove to match your requirements. To ensure that we only offer you high quality wood burning stoves we only stock stoves from the leading manufactures such as Morso, Firebelly, Esse, Yeoman and more! These stove manufactures have demonstrated to Leeds Stove Centre that they only use the highest standards when producing their stoves, and only use the highest quality materials. With the different brands offering a range of styles and designs your certain to find your perfect stove at the Leeds Stove Centre. In addition to supplying stoves to Otley, Burley-in-Wharfedale, Menston and Pool-in-Wharfedale, we are also able to install wood burning stoves. Our highly trained installers are HETAS registered and can professionally install your stove to the highest quality. Furthermore, if necessary we can also fit flexible and twinwall flue systems and carry out chimney tests. If you would like to arrange for an installation survey, please do not hesitate to contact us on 0113 255 5622.